Was this the year of the barbecue invasion? Or was it the second year of the French occupation? Or was it the year Garfield, Deutschtown, Bellevue and Etna became dining destinations? 2018 was a hard-to-classify year in Pittsburgh food but a good one on balance, as the city’s palates continue to diversify and new flavors and concepts keep emerging. Here are our 18 favorite restaurants, in no particular order, plus a few very honorable mentions. The upper level of the Pennsylvania Market. Photo by TH Certo. Here’s an idea: How about a mini-Strip District inside the Strip District? This two-story, 12,000-square-foot development in an old Strip warehouse features an upper-level food hall with three different kitchen concepts, including Bistro 108, Romulus Pizza and Charcuterie. There’s also a wine library with a bar and a seating area with wines for sale that you can’t get elsewhere. The spacious outdoor courtyard of PA Market features stalls with Edgar’s Tacos, a bakery, a micro-greens shop with lots more to come. Richard DeShantz (täkō, Meat & Potatoes, Butcher and the Rye) opened not one, but two of the best new restaurants in town this year, with chef Dan Carlton as a partner leading the kitchen at Fish nor Fowl. This modern, stylish dining room has a plant-filled green wall and long, community tables on the first floor, enlivening a space that has sat dormant since the late Salt of the Earth. Upstairs it’s beautifully Nordic in theme with lush fur throws and pillows and tree branches along the ceiling. The cuisine is also modern, yet approachable — with both fish and fowl on the menu. The halibut collar with succotash is outstanding with an interesting mix of flavors. Breweries tend to put beer first and food a distant second — but this is one of the rare craft breweries that’s worth the trip for the food alone. (Or, you can go for the bowling — there are lanes upstairs). 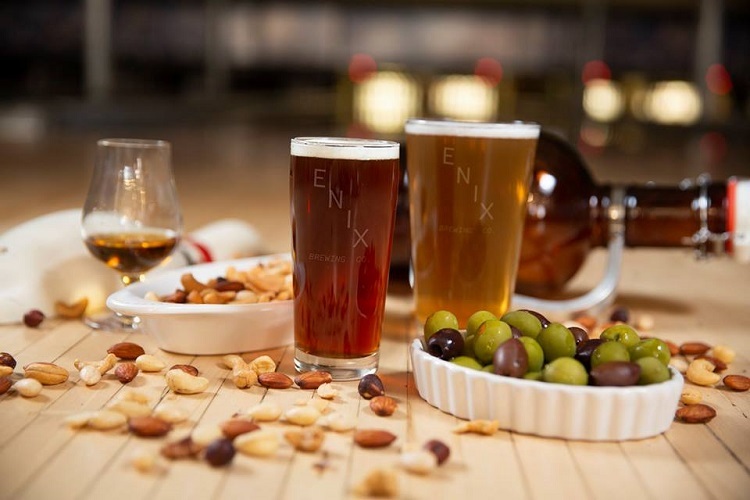 The restaurateurs operate a few of the top breweries in Spain, and the menu at Enix is filigreed with Spanish touches. Croquetas, empanadas and patatas are the perfect salty accompaniment to one of their distinctive beers, like the MadRed, a strongly malty red IPA. The flatbreads are also terrific, thin and chewy, cooked to perfection in a wood-fired oven — like the Don Antonio, with clams, bacon, onions and a garlic cream sauce. Every once in a while, we get something in Pittsburgh that takes even the most well-traveled diner by surprise. One of those is the food of the Azores, a small volcanic archipelago off the coast of Portugal, that can now be found at Azorean Cafe. This long, slim storefront is equal parts coffee shop, diner, pastry shop and tiny grocery, and has quickly woven itself into the fabric of Pittsburgh’s old Little Italy. Get the Polvo Guisado, a baked octopus dish marinated in olive oil, served in a thick sauce with onions and potatoes, or Feijoada, a Portuguese stew. The breakfast sandwiches on Portuguese rolls or croissants are also fantastic, wrapped up in butcher paper (printed like newspaper) and tied with string. 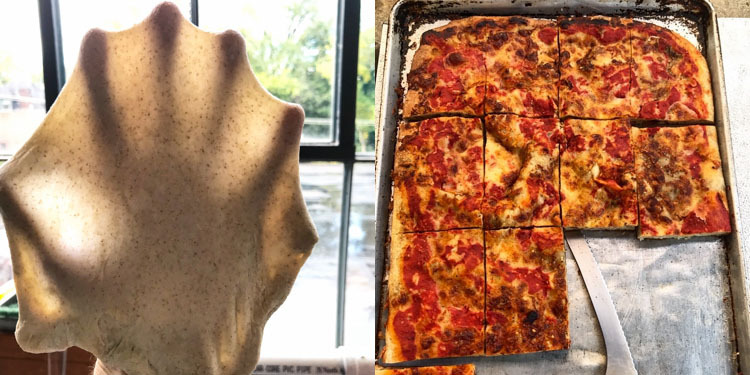 Simply some of the best pizza in town — or, perhaps in the country, if their Bon Appetit Top 50 nomination is anything to go by. Their unique sourdough pies are created with incredible care — A Mason’s Best Friend white pie features mortadella and spicy pickled peppers atop ricotta, mozzarella and fresh garlic, with basil and a tomato drizzle. You can also get Roman-style rectangular cuts, called “Omi’s Slices,” like the Red Top, with pecorino Romano, oregano, olive oil and sea salt. The return of French cooking was perhaps the biggest surprise of last year’s crop of best new restaurants, and this cozy little bistro in Lawrenceville from the prolific Richard DeShantz Restaurant Group continues that in 2018. The dining room is an elegant throwback, from the flowery wallpaper to the blue and white tiled floor. The menu, too, is full of confident renditions of familiar flavors, like the Steak Frites in a Béarnaise or Cognac Pepper sauce, Burgundy Escargot and puff pastry Mushroom Vol-au-Vent. Desserts — Profiteroles, Fried Beignets, Chocolate Souffle — are worth the visit alone. East Ohio Street in Deutschtown seems to be on the cusp of a new phase as a thriving business district — which is going to include restaurants like Siempre Algo. Chef Brian Hammond, who formerly ran the massive farm-to-table Restaurant Echo in Cranberry, has created a more intimate, yet broadly appealing neighborhood gathering spot that caters to both adventurous diners and happy hour snackers. The name means “always something,” and the menu casts a wide net, from Bavarian sourdough pretzels and Sambal Chicken to Butternut Squash Soup, to Roasted Forest Mushrooms with marinated crimini, farro, spinach sauce, bread-and-butter-pickled serrano chilies and pecorino. 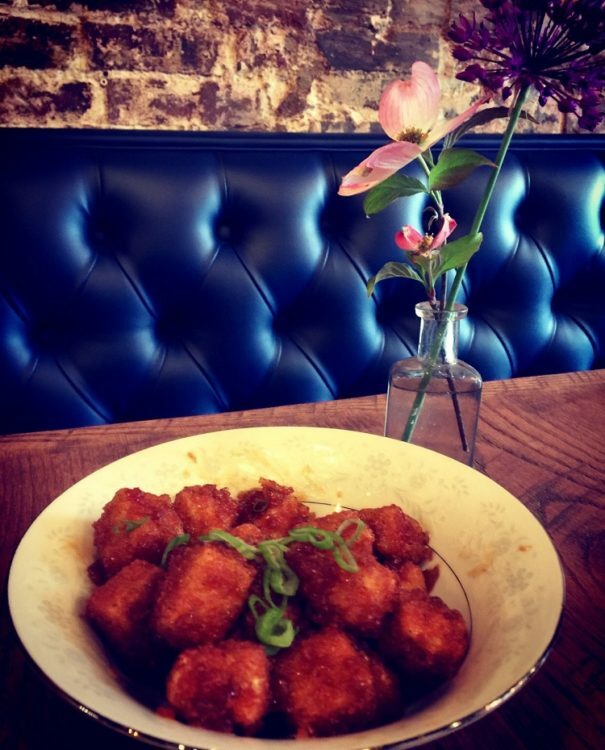 Fried tofu is tossed in a pineapple soy glaze. Photo courtesy of Soju. It’s taken awhile, but Korean food is slowly seeping into Pittsburgh’s culinary bloodstream. Soju is less concerned with tradition than some, and more into unlocking Korean flavors in a stylishly convivial barroom with great drinks. You can get classics like Bulgogi (thinly-sliced beef), Japchae (sweet potato noodles) and Bibimbap (mixed rice bowl with spinach, bean sprouts, mushroom, spicy cucumber and egg). You can also get less traditional Korean food like Hawaiian Poke (marinated raw tuna over hot rice) and Korean Poutine (fries and savory gravy, with tofu instead of cheese curds). Photo courtesy of Seasons Restaurant. 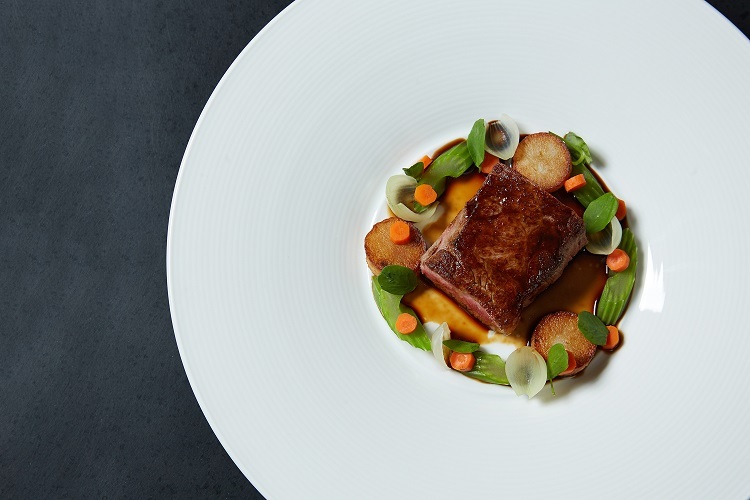 Chef/owner David Bulman has experience in world-renowned kitchens like Alinea in Chicago and The French Laundry in Napa Valley, and has decided to deploy his considerable talents on Butler Street in, yes, Etna. This tiny, 12-seat, tasting-menu-only New American restaurant is only open Thursday through Saturday, and doesn’t have a set menu. As it says on the sign, the food is determined by the seasons — whatever is freshest and best from local farms and purveyors. You know how Pittsburghers love to navigate by things that don’t exist anymore? Well, this went into the old Del’s spot in Bloomfield, and we hope it sticks around long enough to become a landmark of its own. Sugar and Smoke features traditional Southern cooking, with a slight New Orleans accent, putting a special emphasis on barbecue. Though it’s hard to pass up the Shrimp Po’ Boy, you should try the melt-in-your-mouth Smoked Brisket on a toasted brioche bun with Alabama white sauce — a mix of mayo and horseradish. Surprisingly, this place is also excellent for vegetarians: Vegetarian Gumbo, Vegetarian Hush Puppies, Fried Green Tomatoes and Charred Brussels Sprouts are on the menu. 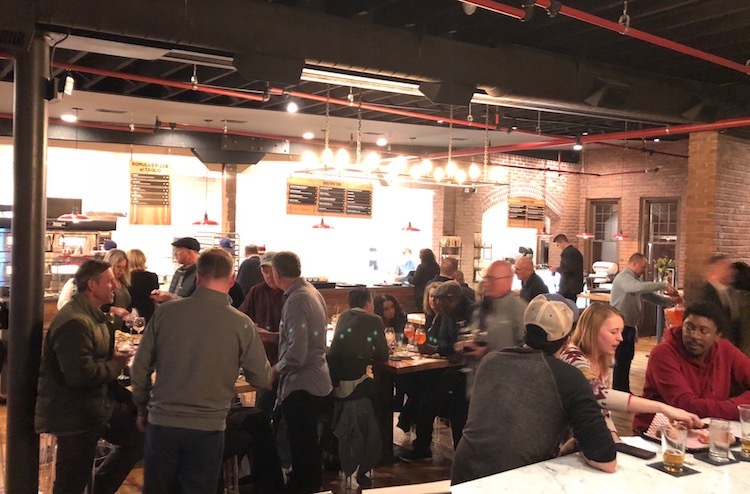 The post The best Pittsburgh restaurants that opened in 2018 appeared first on NEXTpittsburgh.